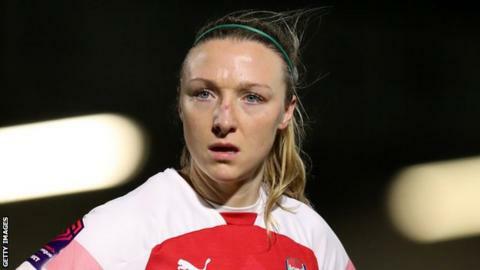 Arsenal's Louise Quinn scored the only goal as the Republic of Ireland beat Wales in the second of two friendly games in Marbella. Quinn's strong header from Tyler Toland's corner on 62 minutes was the difference between the sides. Rhiannon Roberts went close during a first half Wales dominated, but Jayne Ludlow's side failed to take their chances. The first meeting between the sides had ended goalless five days earlier. The two games served as a chance for extra preparation ahead of both sides' Euro 2021 qualification campaigns, which begin later in the year. Wales next face the Czech Republic in a friendly at Newport's Rodney Parade on Thursday, 4 April.